Although Gravesend is a neighborhood way out in South Brooklyn, it doesn’t necessarily mean it’s a good place to find a deal. In fact, the area is known for its multi-million dollar real estate because of its large Sephardic Jewish population–homes near synagogues and Jewish Community Centers have asking prices that soar into the millions. This house at 8738 23rd Avenue is asking nearly $1.5 million. It’s a freestanding four-bedroom property with a funky, cottage-like exterior and a few interior quirks. When people talk about expensive Brooklyn real estate, the conversation often revolves around the well-kept townhouses in Brownstone Brooklyn, the waterfront condos of Williamsburg, the freestanding mansions of Prospect Park South. Gravesend is not a neighborhood that’s on most New Yorkers’ minds. 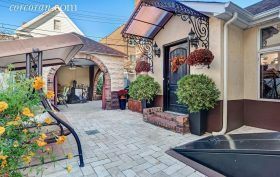 But this South Brooklyn enclave, bordered by Sheepshead Bay, Midwood, Bensonhurst and the waterfront, sees some of the highest home sales in all of Kings County. Here, it’s not uncommon for selling prices to break the $10 million mark. Two years ago, a home hit the market for $14 million. So what’s happening in Gravesend? 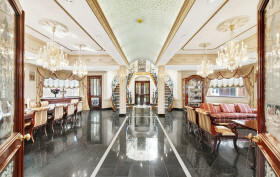 Simply put, this is not your average New York City real estate market. This neighborhood is home to the largest Sephardic Jewish community in the United States, and real estate is dominated by proximity to synagogues and Jewish Community Centers. That pressure for proximity has driven real estate prices into the multi-millions.